Please see our PhD website for program details. The Computer Science Department offers three options for completing the MS degree: Coursework, Thesis, and Project options. Students may also choose a concentration area. Please see the Current Catalog for program details. Please see our Computer Science Education website for program details. 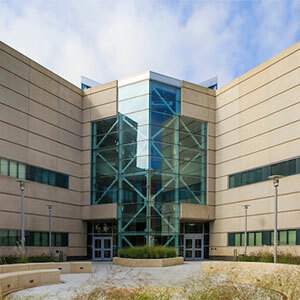 The Department of Computer Science offers an integrated undergraduate/graduate track that provides undergraduate students in the College of Information Science and Technology the option to complete the undergraduate degree (BS) in computer science (CS) and the graduate degree (MS) in five years. The program is 141 to 144 credit hour undergraduate-graduate program that allows eligible students who are motivated and willing to take on early the challenges related to graduate education to work towards an accelerated MS degree in CS while completing their undergraduate degree. Students interested in this program will work closely with an advisor and a faculty mentor to develop an integrated plan of study. The program also allows students to follow either a general computer science study plan or specialized concentration study plan. Seven areas of specialized concentration are provided in the graduate CS program. The selected area of concentration will be noted on the student's transcripts. The program offers three degree options: Thesis, Project, and Coursework. Within each of the degree options, a student can choose from the general MS plan or from one or more of the seven concentration plans.